Do you play good ol' American music? Just proud to be an American? These USA Flag guitar picks let you fly your colors while you also let fly your riffs. 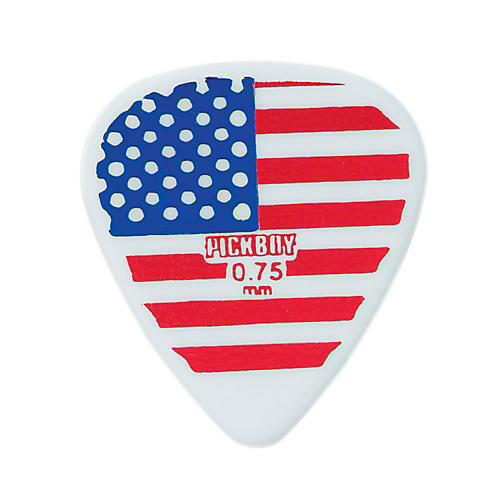 Constructed of Celltex to mimic the 'classic sound' produced by celluloid picks, the tone produced by these Pickboy picks resembles the warm traditional tone of celluloid picks and give you the same kind of resonance with the added benefit of being safer for the environment. See pulldown menu for your thickness preference.